Before YEM, Page played cocktail-style jazz, including snippets of Misty and Brother Can You Spare a Dime? while Trey tuned up. Trey teased The Gumbo Variations in Mike's Song. The third set listing is incomplete; recordings that circulate have cuts before Cantaloupe. The Clod encore began with an impromptu kazoo solo from Mike. 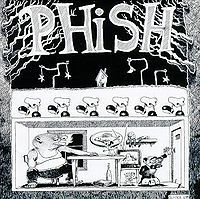 This show contained the first known versions of many Phish songs, including Lushington, Shaggy Dog, Roll Like a Cantaloupe, Sanity, and Clod, as well as the first known Phish versions of Skin It Back, Peaches, Swing Low, and Mustang Sally. This was Paul Languedoc’s first show as soundman. For Paul's sake listen to this one! The recording is good enough to sit through and even though Jeff had just left months ago, they show great chemistry as a four piece. With Paul taking over on sound and lots of new material presented here, you can feel it gelling. Skin it Back is great. McGrupp is still spoken like a poem. The old intro to AC/DC, YEM doesn't have its signature opening riff yet, Lushington is great. Great second set, Peaches, early Golgi, Swing Low is good. They kept Camel Walk, which is awesome. Shaggy was played full on. Two types of Sally’s, the old style Fluff is weird to hear for me. Early Wilson and potential magic on Slave join some Mike's and a Hood for a great back end. And if all that isn't enough reasons to listen, for the love of Paul, you've got to hear the Cantaloupe, Sanity, Anarchy combo!!! A smooth Clod to finish up too was great to hear, having not heard very many of them myself. I've been reading one of their bio books and just decided to jump into a little '86 for the hell of it and boy am I glad I did. I just want to echo what the other reviewers have said. The SBD recording that circulates of this show is probably the best SBD I have heard from the 83' to mid-88' period. Also, Page is clearly playing a baby grand, which I personally MUCH prefer to his electric piano he played in the other 80's shows. Trey definitely has the whole Jerry vibe going on with his playing and tone. Check out the Hood for some serious Jerry stuff going on. All in all, this is probably my favorite show up until this point of the band's history. With Paul doing his first job at sound man, you can really "hear" Phish the way they were meant to sound. When you listen to a show earlier than this one, the way they are mixed just sounds... weird. 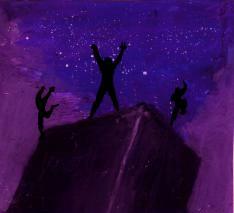 This is Phish mixed the way we know and love, with Page on the baby grand no less! 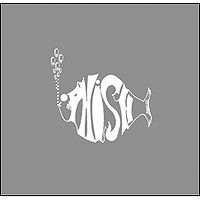 I haven't heard every Phish recording from the 80's, but this is *certainly* one of the better sounding shows from this era of the band. The White Tape must have been recorded around this time, because the versions of Alumni, AC/DC Bag, Slave, and Antelope/Cantaloupe from this show sound very similar to the recorded versions. Page is playing a regular piano at this show (! ), instead of the Fender Rhodes that is heard at other show from this era. Besides what DollarBill mentioned, Quinn->Mike's is worth hearing, and the first known performance of Sanity demonstrates that the song was already inspiring bizarre performances! The band was still feeling out how to improvise with tension/release, but they still sound tight and together throughout the recording. Trey's soloing here is still heavily influenced by Jerry, which is kind of adorable But it is the quality of the recording that seals the deal here, the playing and the rare tunes are a bonus. I've been on a kick over at phish.in the past week, just tearing through the early '80s stuff, and I have to echo the other commenters who've said that this show really shows the four gelling into the Phish we recognize today. I just wanted to add (because it looks like nobody has yet) that there is a very definite tease of Zappa's The Gumbo Variations in Mike's Song. It was probably on Trey's mind since they did Peaches earlier in the evening.